Uniqueness of this attraction Located at the highest peak of Gunung Mat Chincang, it will surely be a once in a lifetime experience for you to walk and absorb the spectacular view on top of a bridge that hangs 700 meters above sea level. You can marvel at the spectacular engineering of the bridge which is supported only by a single pylon. The steel bridge is 125 meters long and 1.8 meters wide. What to bring home? Memories! And definitely you are bringing home a lot of beautiful photos capturing the magnificent view on the Sky Bridge. Getting around You can rent a car or the easiest and hassle free mode of transportation is by getting a taxi from your hotel to the Oriental Village at Burau Bay. Not to worry, getting back is relatively easy too as there will be taxis available by the park. The Langkawi Sky Cab and Sky Bridge will have its yearly annual maintenance and will be closed to public during this period. You can visit their website at http://www.panoramalangkawi.com/ to find out more and ensure your travel plans won’t be disrupted. If you purchase the SkyCab ticket online, remember to print out the Confirmation Order email to redeem your ticket at the ticketing counter. The queue and waiting time for the gondola can take up to almost an hour during peak season. If you are not keen to wait, you can opt for the Express Lane ticket. At times, the peak will be windy and cold, so do bring along a jacket or coat if you are not keen on the cooling weather especially after it rained, it will be misty all over. The operation hours for Langkawi SkyCab may vary from time to time. Before you make plans, check their website to find out more on the latest SkyCab Monthly Operation Summary. The SkyCab basic packages range from RM30 to RM55. Once you reached the Top Station, the SkyBridge ticket can be purchased at the SkyBridge Ticketing Counter with the price of RM5.00 for Adults and RM3.00 for Children. 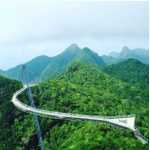 Witness the panoramic view of lush rainforests, Andaman Sea and some parts of Thailand at one of the world’s longest and highest curved pedestrian bridge. Enjoy majestic view while riding the cable car. 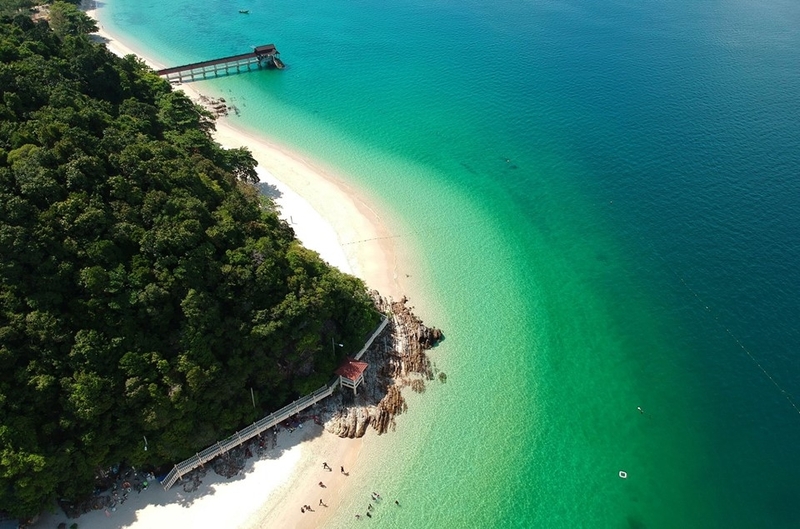 To visit Langkawi Sky Bridge is another add on cost you need to top up when you already reached the to...read more Enjoy majestic view while riding the cable car. To visit Langkawi Sky Bridge is another add on cost you need to top up when you already reached the top. It does not include in your cable car ticket.